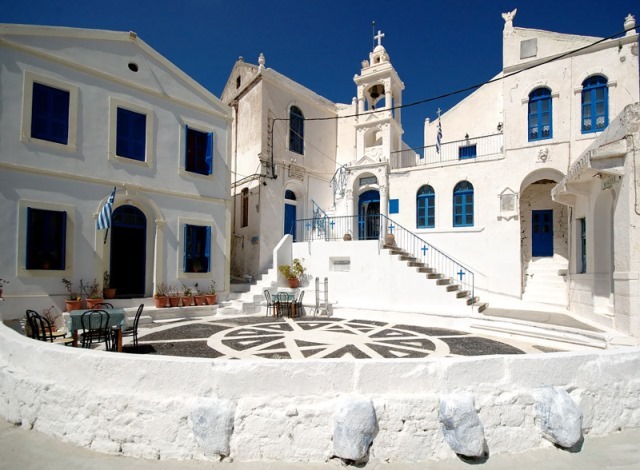 Nisyros is well connected with Piraeus 3-4 times per week with regular ferries that are operated by Blue Star Ferries. Another option to go to Nisyros is through an indirect ferry connection through Kos. There are several daily ferry schedules that connect Kardamena (Kos) to Mandraki (Nisyros). There are also more options via Kalymnos, Astypalaia and other Dodecanese islands. As there are frequent ferry connections between these islands, Nisyros is also suggested for island hopping. Regarding the beaches, the nicest beach of the island is Pahia Ammos (20' of walking) which is a long beach with beautiful black volcanic sand. Avlaki and Hohlakoi are also nice and worth a visit! Hint: If you visit Nisyros you should go to the sauna cave in Emborios, a small cave of 3 sq. meters, where volcanic heat is creating a small natural sauna!